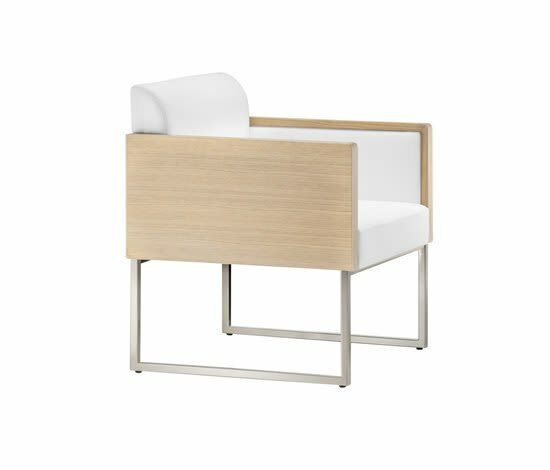 Box Lounge armchair, more comfortable version with wider and lower seat. Seat with cushions and sides upholstered. Square steel tube frame 20x20mm, satinized finish.